What are the price ranges of villas at Ricovida Rio Grande? * See “Villas” under “About Ricovida” for more detail. All prices listed in U.S. dollars. I understand that Ricovida is just starting up. Where are you with the project and when can residents begin moving there? Land purchase is complete. Site plan and architectural plans are being finalized. Groundbreaking is scheduled for Spring 2007. First units available for move-in Summer 2008. *See “Timeline” under “About Ricovida” for all major scheduled project milestones. Continue to visit our website or check our blog at ricovida.blogspot.com to track our progress. 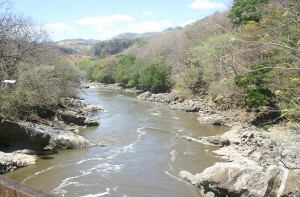 I keep hearing about the great weather in the Central Valley of Costa Rica where Ricovida Rio Grande is located. Does it really have the best weather in the world? 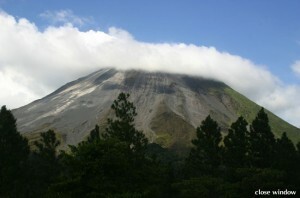 According to National Geographic, Costa Rica enjoys delightfully agreeable weather year round. 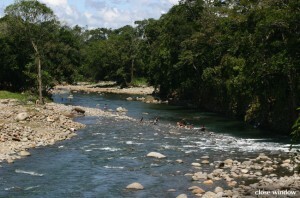 Average temperatures in Costa Rica’s largest city, San Jose – located in the Central Valley about a half hour from Ricovida Rio Grande – range from 57° – 75°F in December, and 63° – 81°F in May. The Caribbean coast averages 70°F at night and over 86°F during the day. The Pacific coast is somewhat hotter than the Caribbean side, but less humid. What does “self-contained community” mean? Will residents be allowed and indeed encouraged to become a part of the outside community? Ricovida Rio Grande will be a gated community with a host of services – including state-of-the-art technical security – on premises. But residents will shop on the local economy, travel freely and become part of the local community. Some sources cite over 150 airports in Costa Rica. Which one or ones should I use to get to Ricovida? It’s true that there are approximately 150 airports of various sizes throughout the country; however, there are only two major airports that are served by major international carriers. The most convenient airport for Ricovida is the Juan Santamaria International Airport, located 10 miles from downtown San Jose and approximately 25 miles from Ricovida. Also available is Daniel Oduber International airport in Liberia, about 200 miles from Ricovida in Guanacaste, if you want to visit the northwest area of the country. What about automobiles? With the “green” emphasis, will purchasers be encouraged or discouraged to own a vehicle? Will a vehicle be necessary? Parking will be available for those who choose to have a vehicle, but it will not be necessary. Shuttle transportation will be available to and from airports and to local villages. At some point, golf carts for those who need to travel short distances within or outside the complex will be available for rental or sale. What are the cost implications of owning a vehicle? Inexpensive? Reasonable? Prohibitive? Vehicle purchase price in Costa Rica? Price of gas? Maintenance costs? 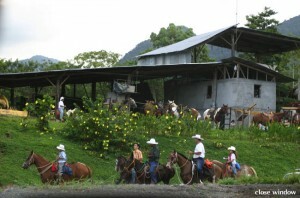 High taxes make buying an automobile – new or used – in Costa Rica somewhat expensive. However, warranties through local dealers can offset the initial high price. If you ship your automobile from home, an emissions control certificate from your state or country must accompany your vehicle. Ricovida can help you with those details should you choose to ship your car. Price of gas is generally lower than in the U.S., but is subject to petroleum market fluctuations and could change. 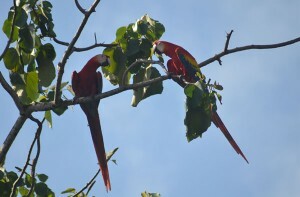 I’m interested in helping to preserve the Costa Rican environment. Who can I contact to become involved? 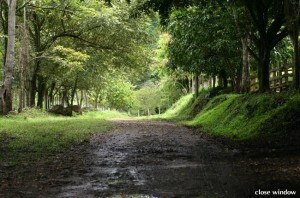 Protecting the environment in general, rainforests in particular, is an important aspect of Costa Rican culture. In fact, it is currently the world’s #1 ecological tourism destination. To get involved, contact the World Environmental Organization at world.org. Direct questions or comments regarding volunteering in Costa Rica to volunteer@cr.world.org. 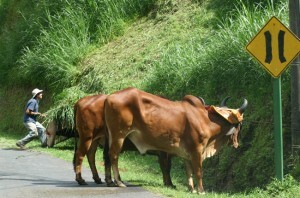 If you’re interested in learning more about energy conservation in Costa Rica, use energy.cr.world.org. Will there be an American grocery on premises? Will food be expensive? There will be a convenience store on premises. Most grocery shopping will be done on the local economy (Balsa, Atenas, Alajuela). In general, the cost of living in Costa Rica – including food – is lower than in the U.S.
Will family pets be welcome? If so, what do we need to do to ensure that there are no hassles at U.S. or Costa Rican Customs upon entry or departure? Pets will be welcome and residents traveling in and out of the country with pets will experience minimum delay and require little documentation. There will be a veterinarian on site at Ricovida. If I purchase a villa, what exactly will I own? When you purchase a villa or a villa and casita at Ricovida, you will indeed be sole owner of and gain title to the structure(s) on the lot that it/they rest on. However, the development will be structured legally according to the U.S. condominium concept. Meaning that you own the villa, but the land that it is built on will belong to the Ricovida Condominium Association which will be run jointly by the owners and the elected association board, comprised of residents.